If you build will they come? Not automatically. If your phone isn’t ringing or people aren’t coming to your store or site, then maybe you need to have a closer look at your call-to-action. 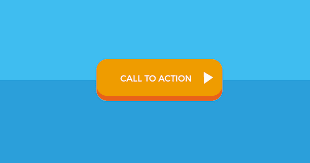 What is a call-to-action you might ask? In simple terms it’s what you want people who get your emails, visit your site or see your ads, to do. Your call-to-action can be as simple as a “buy now” graphic on a web page or in an email, or a “Visit our website to get your 20% discount at www …” in a direct mail piece, or “Call 800…for your free…”. Any way you display it, it needs to drive people to act, and act now! Here are things you might want to use with your own calls-to-action for your marketing campaigns. Deadlines – Giving a deadline for your offer to expire will undoubtedly move your readers to do something sooner rather than later especially if it’s truly a great offer. Make sure you outline what they’ll be saving or getting by ordering before the deadline and remind them up to the last day that they can tap this offer. While Supplies Last – If you’ve got inventory that will go away, promoting that this offer will end with the end of the supply is a great idea. You may even want to set “limits” on the number of products that can be purchased. The Bobble Head – If you’ve got a free gift to give to your customers if they buy now, then promote it! The baseball parks get FULL when they give away gifts to the first 1000 people that come to the stadium. It gets people to the stadium early and gets them buying things. Free Consultation/Free Trial – Why not offer a number of hours of your services free to get newbies in the door. If free doesn’t rock your boat, then offer a deeply discounted rate for them to feel comfortable. Once they see the value, they’re sure to come back for more. Not Available in Stores – Wineries do a great job at offering their wines direct-only. And they focus their messaging on that fact that you can only get the wines from the winery. Some have such limited production that they have people on waiting lists to get on the winery list. Risk-FREE – If your recipients won’t have to pay or put down a credit card and they can walk away with no questions asked, then make sure this is largely displayed. Free Accessories with Purchase – Under the deadline, why not try promoting an accessory with the product you’re offering. The accessory could even turn into another purchase down the road. For instance, if you sell face cream, you might want to add in a free sample of eye cream. If you sell jewelry, you might want to add a bit of jewelry cleaner. One more thing, the presentation of your call-to-action is important. You’ll often find bursts and buttons in red, orange and yellow because those are colors that command attention, yet used too much can be distracting. Make sure you have your call-to-action in more than one place. If it’s on your website, don’t only display it at the end of the page, make sure you include your call-to-action within your text as well as graphics. As always, test a variety of placements and see what works for your business.